Jayco is recalling 137 model year 2017 Seismic travel trailers manufactured November 19, 2015, to August 19, 2016. The trailer may be equipped with an underrated resettable fuse for the awning with LED lights. The incorrect fuse may not properly protect the circuit, allowing an electrical short to occur and increasing the risk of a fire. Jayco will notify owners, and dealers will replace the fuse with the correct 1.85 amp hold/3.70 amp trip fuse, free of charge. The recall is expected to begin on November 4, 2016. 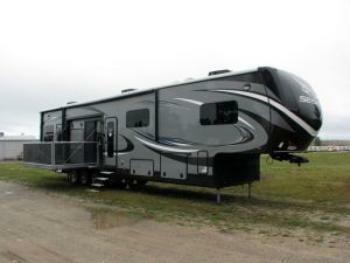 Owners may contact Jayco customer service at 1-800-283-8267. Jayco's number for this recall is 9901321.